Our Bronze Level Warm-Up Pants Sized for Children. Our lightweight Stockholm Bronze fabric is wind and water-resistant. 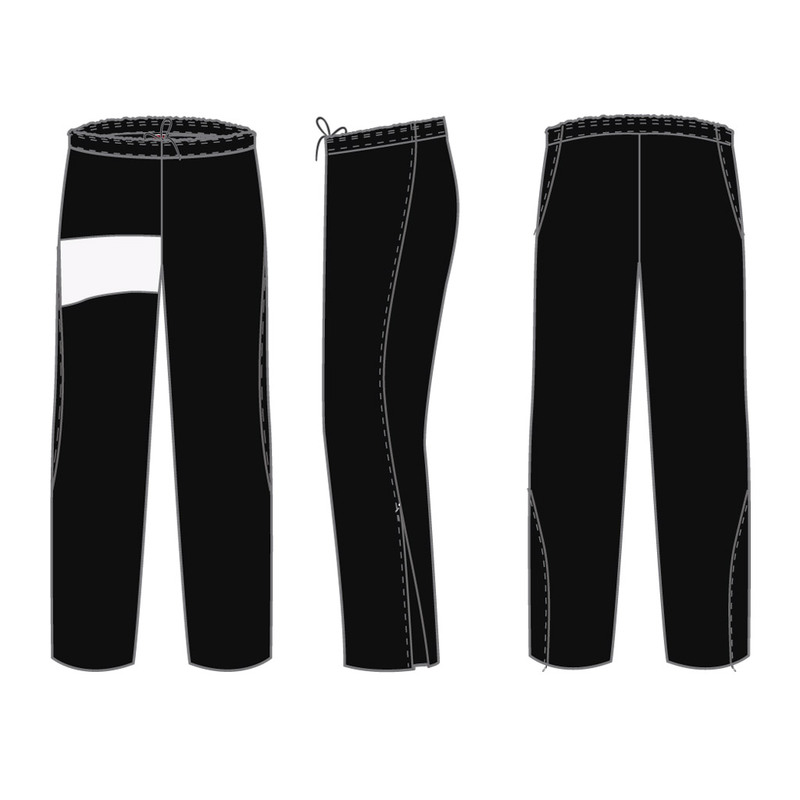 The gathered, elasticized waistband with drawcord allows maximum adjustability for a variety of body types. Extra long 16" zippers at the ankles make for easy on/off access. Your design will cover an upper section of the right leg. The rest of the pant is black.